The Wiki to get start quickly and understand how the engine works! 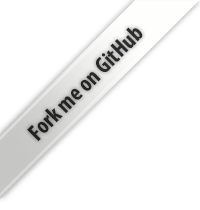 The complete API documentation of Citrus Engine. Download the zip. // When you create a new state the previous one is automatically destroyed and garbage collected. // called SpriteArt which is a container of your art. This template allows to load external files thanks to their path. // It works the same way with Starling. // _hero.view refers to the path "myHero.swf" not to the swf loaded. // If the view specified is a DisplayObject, you can directly make whatever you want on it (filter, blendMode, ect). // _heroGraphic is the container of the art. It will loads and display the art. Most often you will work with this. trace((view.getArt(_hero) as SpriteArt).content); // it will trace null, because your swf isn't loaded at this time. // the swf is loaded, you have direct access to it. because the SpriteArt object is a wrapper for the actual MovieClip graphic that represents your loaded SWF. // Using SWF you can also call some functions that you've defined. Note that it can't work with Starling! /*The function setShirtColor() is a function that you would create on the first frame of your Hero graphic's FLA.
// Each group is a container, each CitrusObject's view is added to the corresponding container. // You can also change order into this container! // We make easily an affect to all children into the group5. // group's container are automatically created when a new group is precised into an object. // In our case group from 0-5 are created, default object group is 0. // Note: if your views are never set up as a path to a file, the handleLoadComplete will never be called. // If you're using Starling, we advice you to use its AssetManager to parse sprite sheets. // When the data changes, it dispatches a Signal. Be sure to register it before any gameData's properties update.